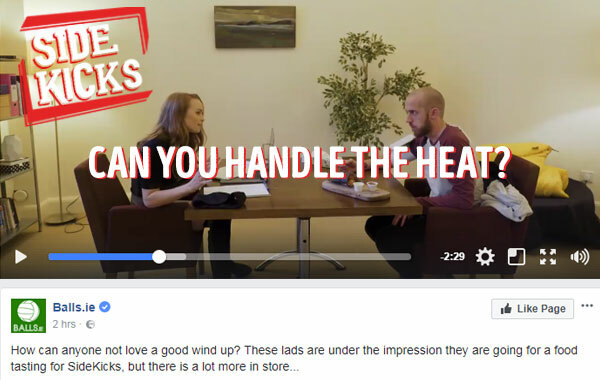 To raise awareness of the product amongst consumers of the recently launched SideKicks range a prank video and radio advertisement have been created. The video packs a real punch for those who were pranked – people stitched up by friends at a fake food tasting. The video was released on Balls.ie and College Times to a followership of over 600,000. An accompanying 20-second radio advertisement has also been rolled out across Irish stations including 98fm, iRadio, RedFM and many more.